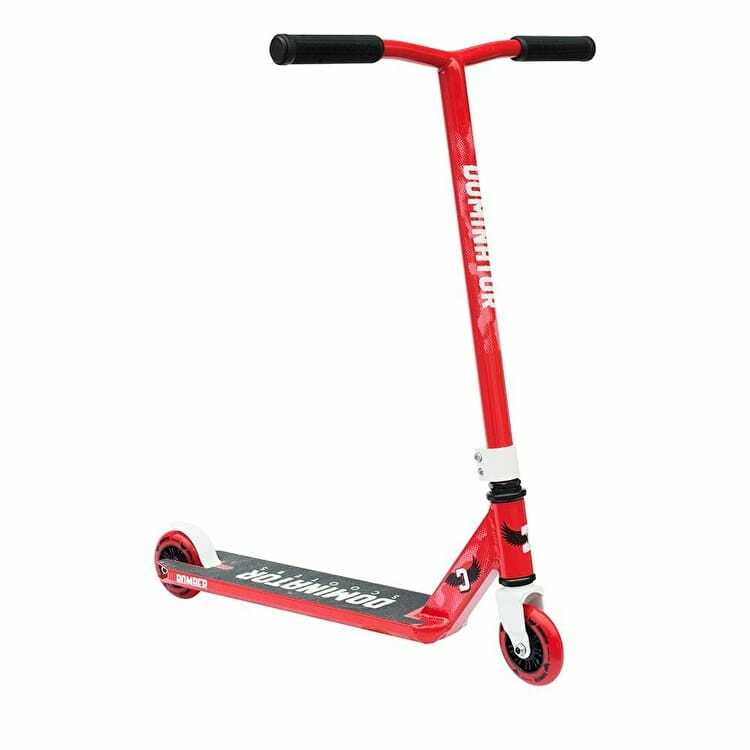 At just under the £75 price point the Dominator Bomber Pro Kids Stunt Scooter is a lot of bang for your buck. In the red and white colour way the Bomber would suit both boys and girls. Dominator start things off with the soft district grips, keeping your hands comfortable for the duration of the session. Sat on steel bars for maximum strength and an aluminium deck for weight loss. A double clamp with M6 bolts helps prevent rounding bolts. This is what holds the threaded fork to the deck, and the bars. The fork will fit up to 110mm wheels but comes running 100mm Alloy Core District Wheels.